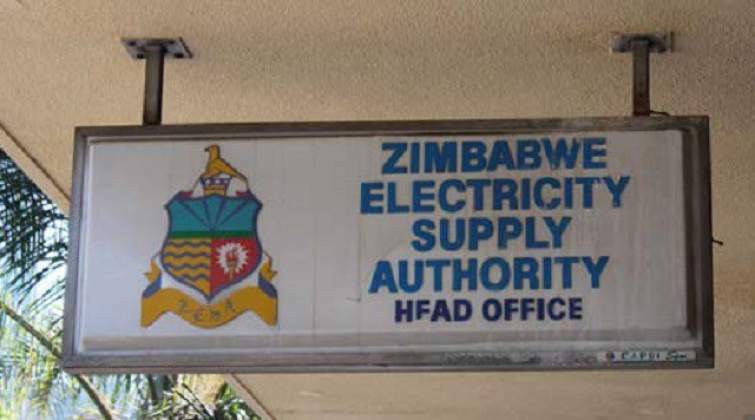 GOVERNMENT has put in measures to normalise the situation after parts of the sourthern region started experiencing power cuts after three thermal power stations stopped operating while the main one in Hwange was operating at below 50 percent due to shortages of diesel. In an interview, Energy and Power Development Minister Dr Joram Gumbo said the recent power outages in the southern part of the country were due to lack of diesel to run some units at Hwange Power Station. He, however, said the situation was being rectified after Government facilitated delivery of diesel to the power station. Bulawayo, Munyati and Harare thermal power stations that have a combined generating capacity of 285MW at full capacity have not been generating electricity for the past week while Hwange Power Station was generating 356MW and 448MW on Friday and yesterday respectively. An average of 80 tonnes of diesel is required to start each generator while more diesel is needed to heat and maintain flames in the furnaces. Hwange has six units. Only the country's hydro power station, Kariba has been operating optimally and was yesterday pumping out 839MW giving a total of 1 287MW. The country's electricity demand stands at 1 600MW with the deficit covered by imports. "Hwange was not producing power adequately, two units were not producing because they use diesel and there was a problem until we made arrangements that Hwange should also be provided with diesel in order to operate those units, which use diesel. So that's why in the southern part of the country in some areas and some parts of Harare there was no power at times, but it was temporary. The fault was attended to and the diesel has been provided to Hwange," said Dr Gumbo. He said the smaller thermal power stations of Bulawayo, Munyati and Harare were non-functioning as the infrastructure needed refurbishment. "Munyati, Bulawayo and Harare power stations have obsolete equipment, it's old, it needs revamping and resuscitation so that's why we also face problems there. We need spares to activate them. Actually Munyati and Harare are not even operational. Bulawayo sometimes sends something like 24 megawatts or 30MW but these other two are not operational at all," said Dr Gumbo. However, he said Kariba was generating at a level that can sustain the country. "We are having enough generation of power from Kariba. It's operating very well, we still have good levels of water so we are producing and we are getting 50MW from Cahora Bassa, as for Eskom (South Africa) sometimes we don't even have to import power from them. So generally we are okay, faults will always come, those are temporary and I can't deny that, but there is no reason to fear because we are not even load-shedding," said Dr Gumbo. Some areas have been plunged into darkness because of theft of power cables, Zesa officials said. The latest being parts of Mahatshula and Woodvill suburbs, among others in Bulawayo, that have not had electricity since Friday morning after thieves stole power cables servicing the areas. Meanwhile, the Government has since secured funding to back up the Reserve Bank of Zimbabwe (RBZ)'s weekly foreign currency allocations to petroleum companies for the procurement of fuel as demand has gone up by 100 percent. "As a Ministry again with the agreement and cooperation with the Ministry of Finance (and Economic Development) and the RBZ we have now secured some facility to provide fuel, which is going to complement what RBZ has already been doing so they (motorists) can cry but it will be just for a few days. I think as from Monday (tomorrow) that facility will be operational. So there will be plenty of fuel in the market, which will not be fuel that we have only been getting through (weekly) allocations from RBZ, so that's what's going to help everybody and the situation will be back to normal," he said. Dr Gumbo said the increase in petrol and diesel usage by more than 100 percent and above respectively has prompted RBZ to increase its foreign currency allocations as the Government moves in to avert shortages. He said the demand of fuel has over the last few months been soaring with the country presently consuming four million litres of diesel up from 2.5 million litres a week while about three million litres of petrol is being pumped from service stations up from 1.5 litres per week. "It's actually the responsibility of my Ministry to make sure there is availability of fuel but the problem that I have been facing is that the demand has taken us by surprise while we were saying consumption is about 2,5 million litres a week — diesel and 1,5 million litres — petrol, I have discovered since yesterday (Friday) that no, it's not the same. When we got the reconciliation from garages of how much they are giving out we discovered that we are using four million litres of diesel per week and about three million litres of petrol per week," said Dr Gumbo. He said owing to the increase in demand for fuel on the market RBZ's $20 million weekly allocation to petroleum companies for procurement of the commodity had proven to be insufficient. "So RBZ are now going to be providing to fuel companies about between $32 million and $35 million per week in order to satisfy the market," he said. In an effort to address the fuel situation on Wednesday last week Government released $17 million to support the acquisition of diesel and petrol. Almost two weeks ago, the Government also provided $40 million for the importation of fuel. However, some garages have been accused of channeling fuel to the black market and holding on to it for speculative purposes.